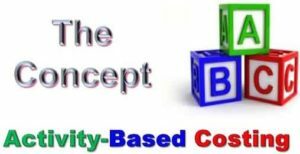 ABC has helped many organizations identify cost and profit enhancement opportunities and therefore it is not recommendable to abandon it. Instead, its potential can be enhanced on allowing for the challenges in it to be addressed. The time driven ABC allows for its simplification and as such it can now be used more effectively by organizations of varying scales (Kaplan and Anderson, 2005). Managers are able to directly estimate the resources needed from each transaction, customer and product instead of the traditional method of assigning the resources to the activities first and then to the customers and products. This new approach allows unit times to be estimated providing more accurate cost driver rates and as such is suitable even for the complex and specialized transactions. ABC is essential is assigning to products and customers that use departmental stores. However, it loses power when used in large scale operations and can be challenging to implement and maintain (Kaplan and Anderson, 2005). The new approach allows the capacity of most resources to be measured in terms of the available time. As such, managers are now better able to review the unutilized capacity and determine how to reduce the associated costs in the subsequent periods. The new approach makes ABC easier as it allows the managers to update the time driven ABC models with changes in conditions of operation allowing them to make more accurate decisions on how to address the changes. The cost driver rates are also easily updated relating to changes in prices of the resources being supplied and changes in the efficiency of activities. By updating the model on the basis of events rather than the calendar year gives the managers an accurate reflection of the conditions they are operating in (Kaplan and Anderson, 2005).